Iboga is the plant teacher of the highest order. It will take you deeper than you wanted to go and higher than you ever thought was possible. As anyone who has journeyed through the realm of Iboga will tell you, Iboga teaches by focusing on one's weakness and debility. That is why the journey, although fascinating, is not pleasant at all. For Iboga keeps throwing at you all that you would rather not see, insisting with constant flashes of insight, knowing you cannot close your eyes, this time. That is how, at the end of the road, it manages to extinguish the appetite for all that is excessive in our lives. 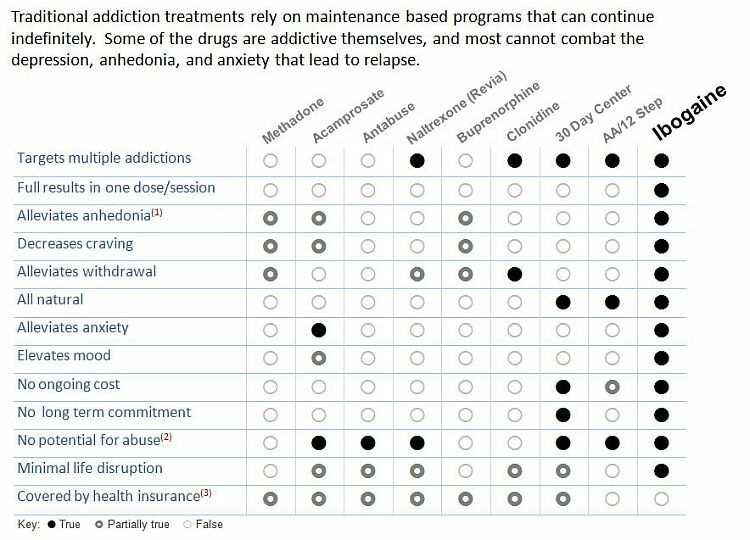 And it's easy to see how this relates to the treatment of addiction. If you are looking for a way to help yourself or your loved one, I recommend you read this Iboga Experience, and an overview of Iboga Treatment for Addiction, written by Daniel Waterman. You may also find interesting this collection of addiction recovery videos.